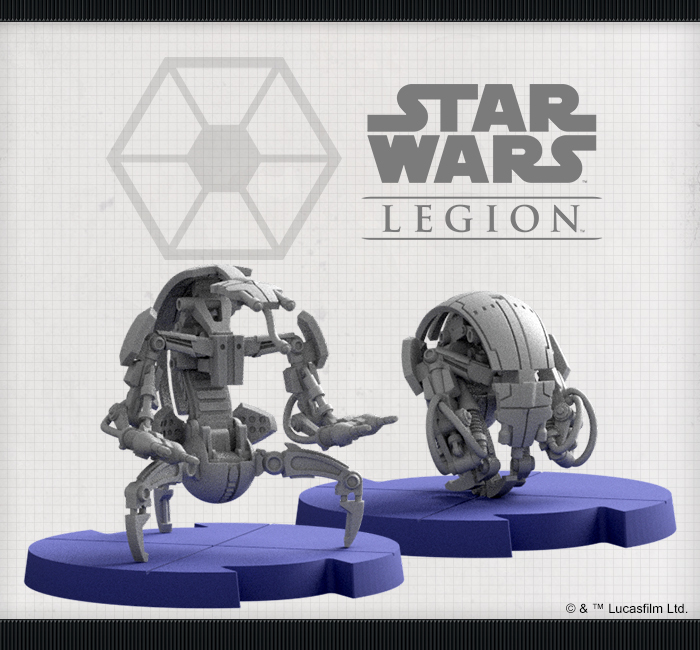 With the Force as his ally, Obi-Wan Kenobi charges into battle. 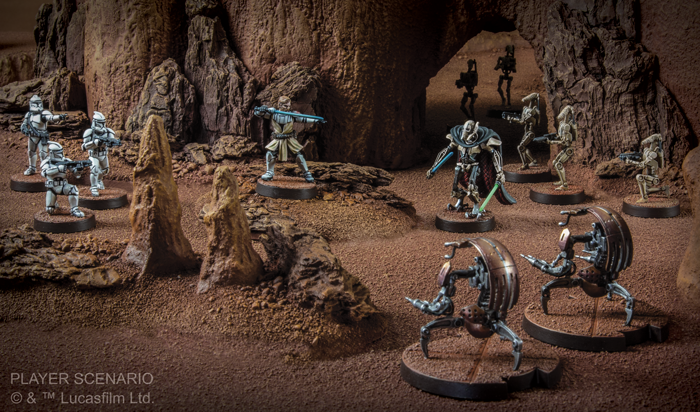 As you might expect, Kenobi is deadly in melee combat with his lightsaber. 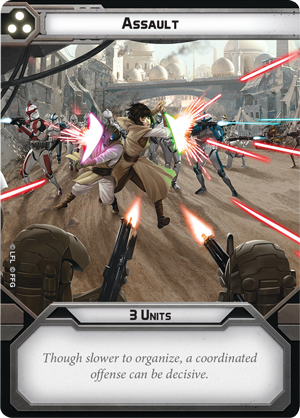 But his mastery of the Soresu form of combat also gives him a superior defense, allowing him to easily deflect incoming blaster bolts. 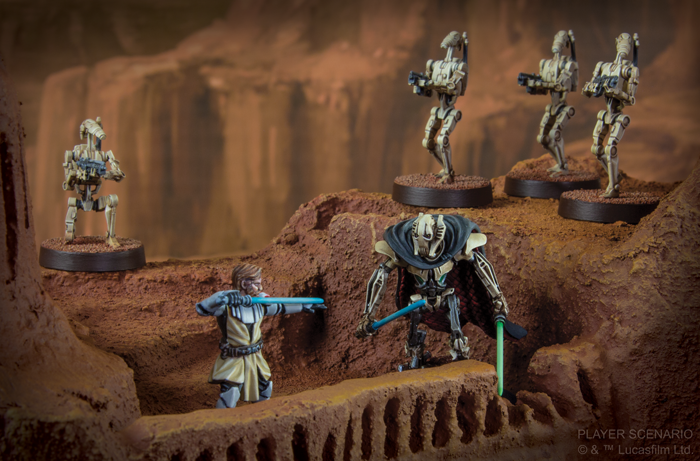 To represent Kenobi on the battlefield, the Clone Wars Core Setcontains one finely detailed Obi-Wan Kenobi miniature in his ready stance, awaiting the attacks of any who would threaten the Republic. 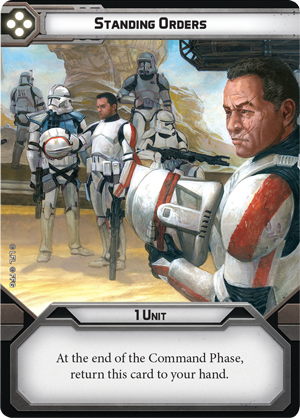 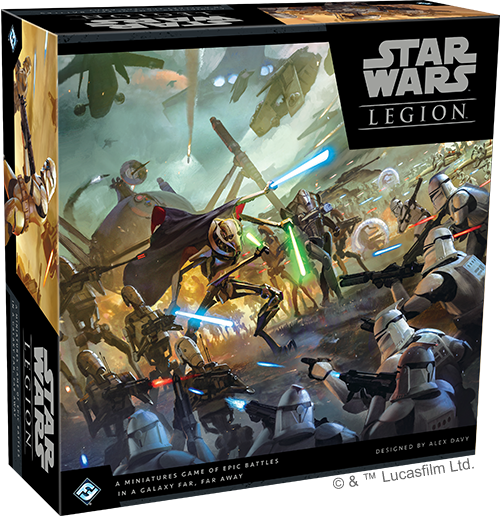 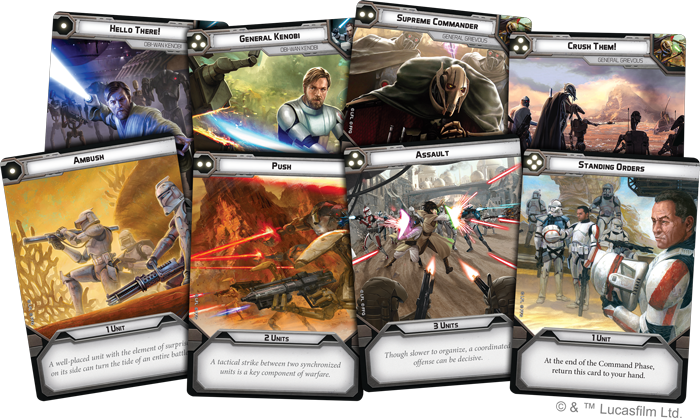 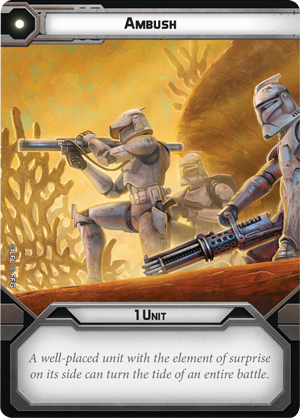 On top of these command cards, you’ll also find two copies each of the basic Ambush, Push, Assault, andStanding Orders command cards updated to feature Clone Wars artwork, allowing both players to round out their command hands. 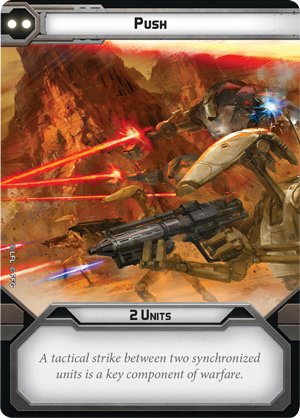 We’ll take a closer look at both of these commanders—and all of their signature command cards—in future previews!